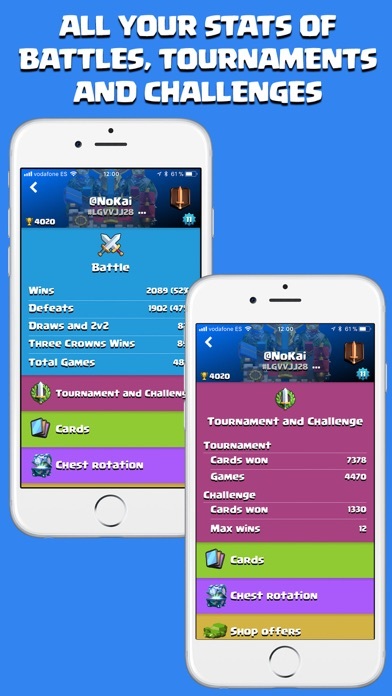 Royale Stats will help you become a better player and have more fun with Clash Royale. - Look at what your next coffers will be. - Check your clan and see who donates more or makes more crowns. If you know your tag, you know until the deck uses more usually. 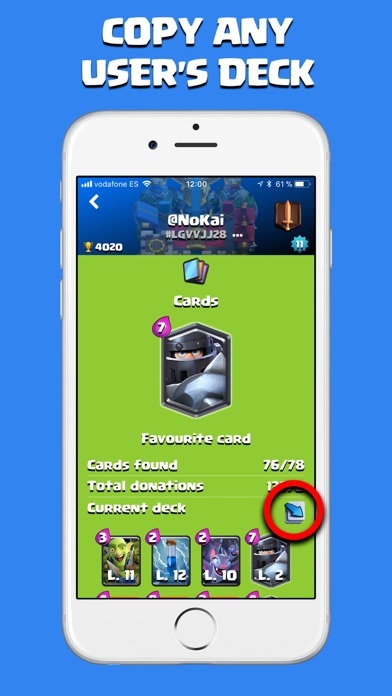 Plus you can copy the deck from anyone easily into your Clash Royale profile. 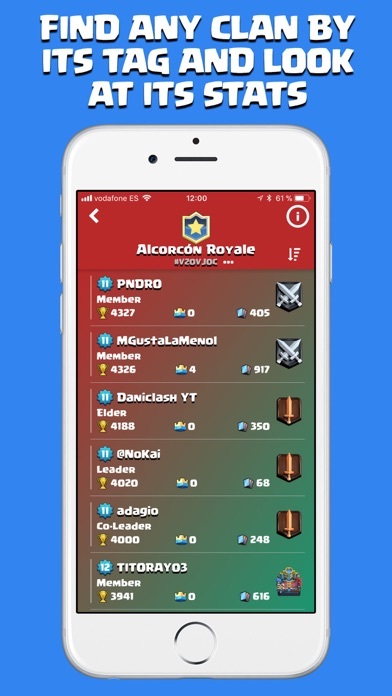 Save users or clans to see their statistics at any time. You only need to know your tag the first time, then the application will take care of quickly accessing your profiles. Warning: Unofficial product. This application does not receive approval or is affiliated with Supercell, its name, trademark and other aspects of the application are registered trademarks and property of their respective owners. Dr. 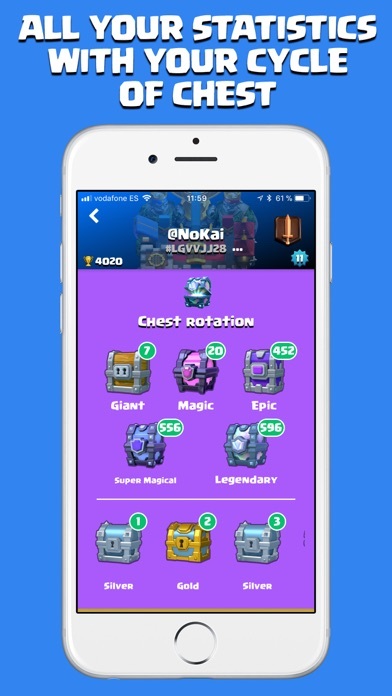 Decks for "Clash Royale"